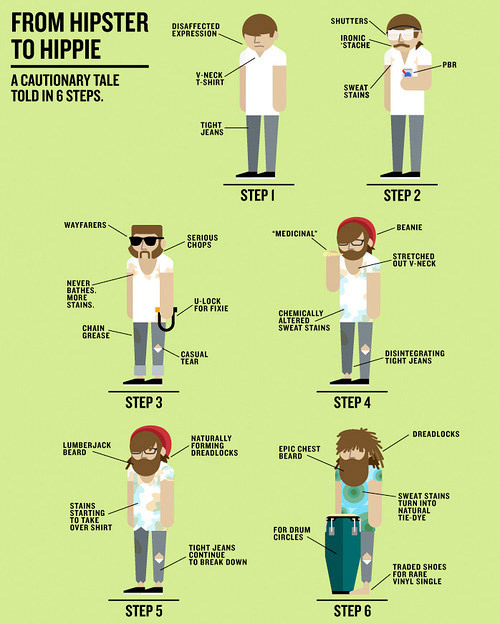 ...: from hipster to hippie. stolen shamelessly from The Sugar Shack... this is hilarious because it is hitting close to home. don't worry, i shamelessly stole it from somebody else.